The win was Woods's first major win in 11 years. Back in 2008 he took first place in the U.S. Open, but hadn't seen any huge success since, until now. The 43-year-old golfer had previously won the Masters in 1997, 2000, 2001 and 2005. 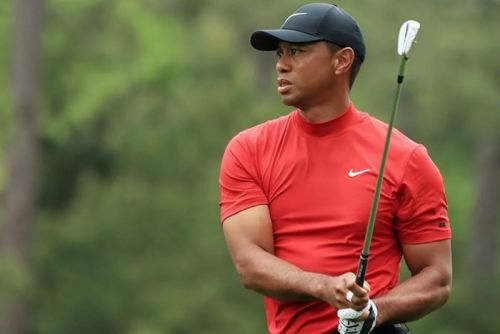 Tiger Woods has won the 2019 Masters , one of golf's most prestigious contests - it's his 5th time winning the major and it's also his 15th major championship. Woods has not won a major tournament since 2008 and he did so now in dramatic fashion posting a final round 70 to capture glory. After sinking his final put, Woods couldn't contain his happiness as he threw up his hands and began celebrating. As he left the course, Woods took a moment to share hugs with his children, as well as his father, who was present for the decorated golf player's last Masters win in 2005, according to USA Today .